many web programmer has already know what a framework is. so a guess this article maybe dont really important because it maybe a little to basic. but person who beginning their web programming, like me, i hope this article gonna help. if we only gonna make one single cake, maybe our mom can handle it easily. just like if we wanna make a static hompage, maybe you (not me ) could make it easily alone. 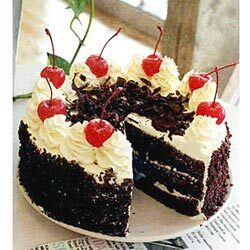 but when i t comes to a lot of cakes, maybe our mom can still handle it, but thats gonna be need a lot of time, so maybe mom can split the tasks for making the cake. maybe mom handle the ingredient, father handle the mixer, brother handle the baking, sister handle the topping, and you the eating part (hehehe..). like we make some complex web application, a blog maybe. we need a function to handle login, the posts, etc. i guess my example dont make any sense, but i hope you get the point. so i can say that a framework, is a collection of a function that can help us make more timeless and efficient apps. maybe its different with a library, library is a specific function that we can integrated in an apps, but a framework is more to create a whole application. hufh..i think thats make it more confusing and complicated…i hope with my next posts this framework things will be more easy to understand. This entry was posted in Headline, PHP and tagged chunk codes, PHP, php framework, reuse application. Bookmark the permalink. Post comments on websites automatically using automated comments posting software. Get thousands of backlinks per day, increase your sales and earnings. Automated comments poster is the best way to build backlinks and promote websites automatically!